On Thanksgiving Day, both Immaculate Conception and St. Stephen will offer Low Latin Masses at 8am. We sincerely wish you a blessed and enjoyable Thanksgiving Day! O God of Whose mercies there is no number, and of Whose goodness the treasure is infinite: we render thanks to Thy most gracious Majesty for the gifts Thou hast bestowed upon us, always beseeching Thy clemency; that as Thou grantest the petitions of them that ask Thee, Thou wilt never forsake them, but wilt prepare them for the greater rewards that still await. Collect, from the Votive Mass of Thanksgiving. Yes. Forget everything you learned. The American textbooks tell you the first thanksgiving was celebrated by pilgrims and Native Americans in about 1621. But, years before that, in about 1565, in the eldest city of this nation, St. Augustine, Florida, Catholics celebrated Thanksgiving. 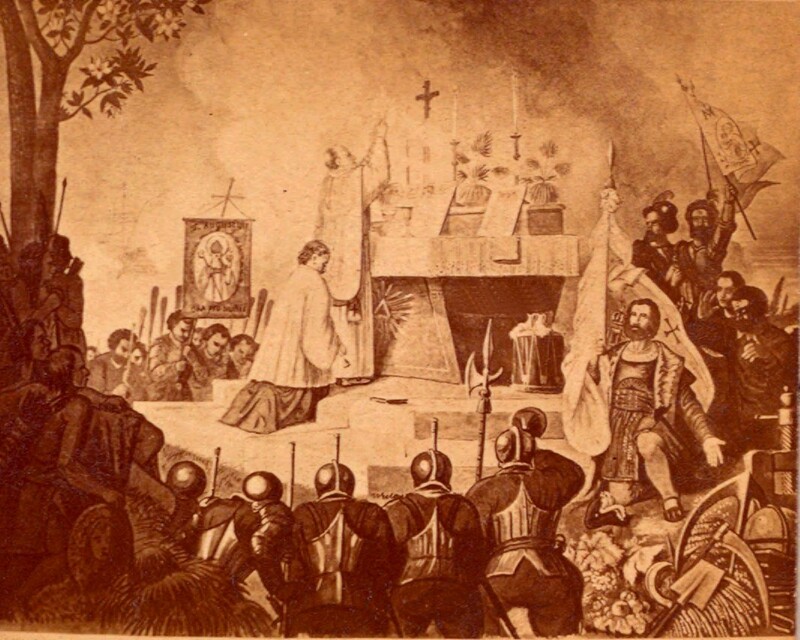 In 1565, Pedro Menindez de Avilis, the Spanish founder of St. Augustine, and 800 Spanish settlers shared in a Mass of Thanksgiving. Following the Mass, Menindez ordered a communal meal to be shared by the Spaniards and the Seloy Indians who occupied the landing site. This history can be found in The Cross in the Sand, by Michael Gannon, an expert on Florida colonial history and professor of history at the University of Florida. And, of course, Eucharist means Thanksgiving. An indulgence, applicable only to the Souls in Purgatory, is granted to the faithful, who devoutly visit a cemetery and pray, even if only mentally, for the departed. The indulgence is plenary each day from the 1st to the 8th of November; on other days of the year it is partial. 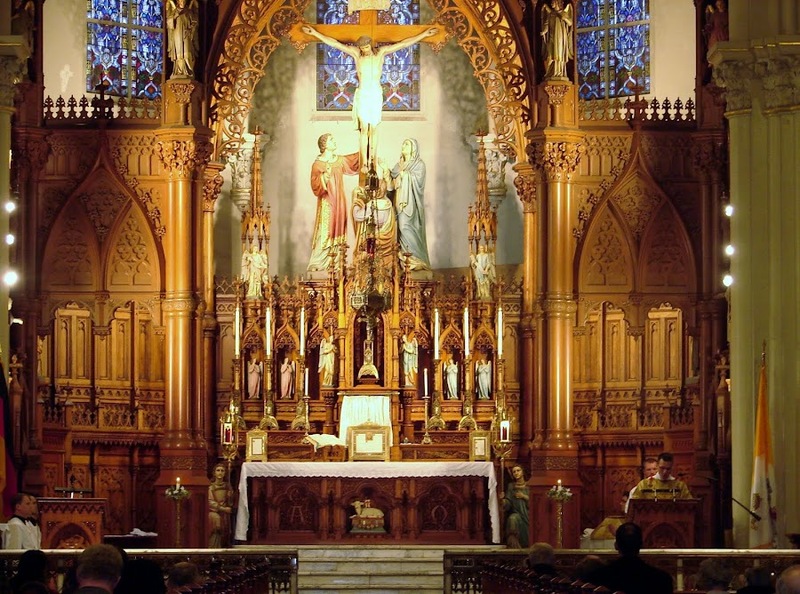 Sacramental confession within “about twenty days” of the actual day of the Plenary Indulgence. Eucharistic Communion on the day of the Plenary Indulgence. Prayer for the intentions of the Pope on the day of the Plenary Indulgence. It is further required that all attachment to sin, even venial sin, be absent. on the SE corner of Rockwell Ave. and East 9th St.
All concerts are free and open to the public; no tickets are required. Tenebrae is a professional chamber choir from Great Britain, founded by Nigel Short and Barbara Pollock. Often performing by candlelight, the choir creates an atmosphere of spiritual and musical reflection, where medieval chant and renaissance works are interspersed with contemporary compositions to create an ethereal mood of contemplation. Its members are drawn from the ranks of many distinguished choirs: the Monteverdi Choir, the choirs of Westminster Abbey and Cathedral, and King’s College Cambridge. Many of Tenebrae’s singers have worked with leading vocal groups, including I Fagiolini, Tallis Scholars, Swingle Singers and The King’s Singers. Contributing to the dramatic qualities of Tenebrae’s performing style are singers from Britain’s two major opera houses, Covent Garden and English National Opera. We just wanted to call your attention to the first poll posted on the TLM Friends blog. The poll question is simply: How do you find out about updates to the Cleveland TLM Friends blog? The reason for this poll is because of feedback we have received recently. It seems that some, perhaps many, simply wait for new posts to be delivered to their email through the blog subscription service. Unfortunately, we have received feedback that not all blog posts arrive in a timely fashion or even at all. For example, the Oct 31 post concerning the Solemnity of All Saints still hasn't arrived in email, but is actively on the blog. The point is that if you only wait for email subscription updates, you may never get them, or you will get them late. We are not sure how to resolve this issue. On the other hand, we have received feedback that some readers of the blog regularly check it. This is perhaps the best way to stay up to date with any blog posts. As always, we encourage readers to send us feedback. The poll can be found in the right hand column, and will run throughout November, if you are interested in participating. Remember the Souls of the Faithful Departed this day. They are the Church Suffering and are in great need of our prayers. November is traditionally dedicated to the Poor Souls in Purgatory. Like as Saint Gregory recounteth, in the fourth book of his Dialogues, that one of his monks named Justus when he came to his last end, he showed that he had hid three pieces of gold, and thereof sorrowed sore, and anon after he died. And then Saint Gregory commanded his brethren that they should bury his body in a dunghill, and the three pieces of gold with him, saying: Thy money be to thee in perdition. Nevertheless, Saint Gregory commanded one of his brethren to say for him every day mass, thirty days long, and so he did. And when he had accomplished his term, the monk that was dead appeared on the thirtieth day to one which demanded how it was with him, and he answered to him: I have been evil at ease unto this day, but now I am well. 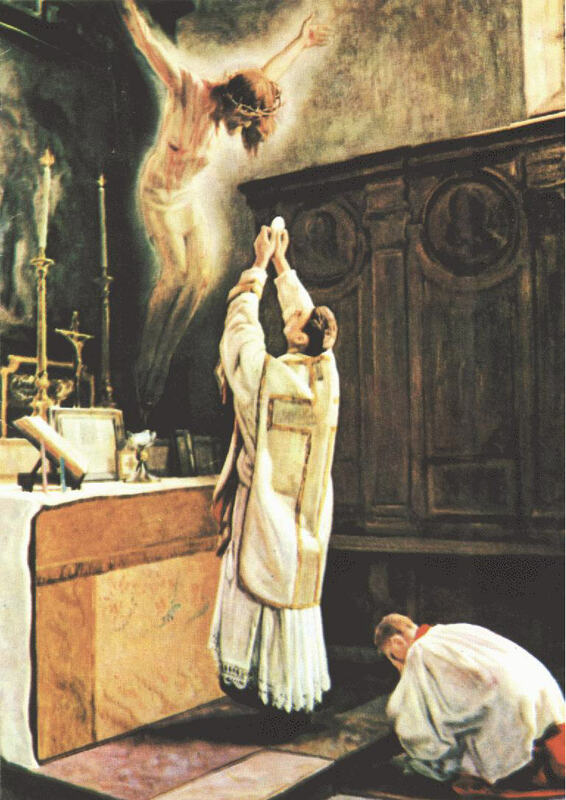 I have this day received communion, and the sacrifice of the altar profiteth not only to them that be dead, but also to them that be living in this world. those in my own home and within my family. It is hoped this update reaches you in time. The All Souls' Day High Requiem Mass at St. Stephen's, scheduled for 6:30pm, will now begin at 6:20pm due to a slight scheduling conflict. Please pass the notice on. Thank you.